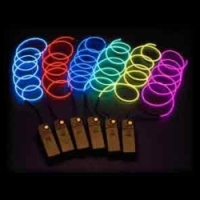 When ordering you can choose any color combination of Glow El Wires. 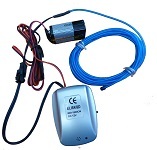 EL inverter 9V battery - Sound-sensitive LED controller for fibers. Just connect the controller to fiber, and it gets a lot of new features immediately. 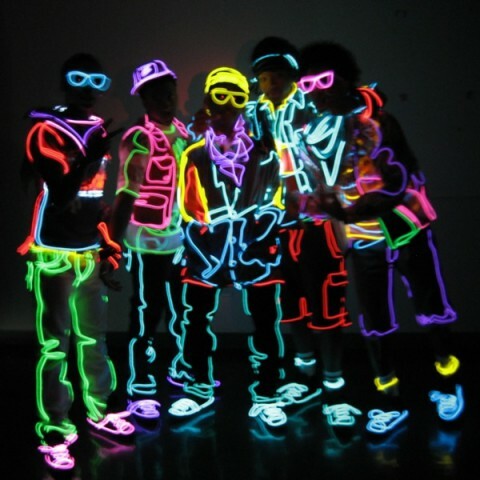 LED fiber will react (flash by any sound around. 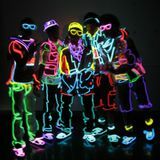 At the music it starts flashing to the beat, and it will light up by clapping etc. 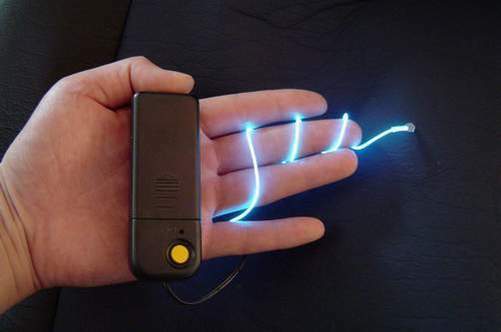 With the potentiometer you can control the sensitivity of the device to control the sound around you. Set includes unique neon fibers which you can arbitrarily combine, to adjust to the size what you need whether on a party dress or other decorations - cars, bars. The standard fiber length is 3 meters.